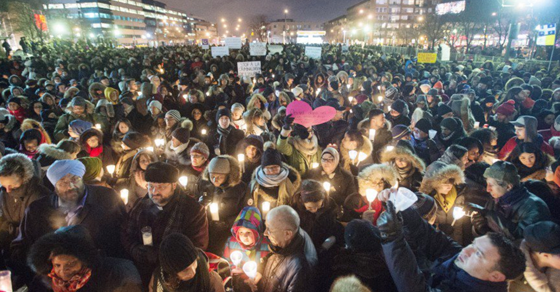 Note to Ezra: the families of the victims deserve support, not you. In the wake of Sunday’s terrorist attack on a Québec City mosque that left six dead, right-wing demagogue Ezra Levant is facing heavy criticism for spreading false information and using the tragedy in a fundraising appeal for his Rebel Media website. In a fundraising e-mail to supporters Monday, Levant questions if “the mainstream media” is telling “the truth” about who the terrorist really is. Authorities in Québec have explicitly stated there was only one gunman: a far-right white nationalist who was “enthralled by a borderline racist nationalist movement” and inspired by the likes of Marine LePen and Donald Trump. 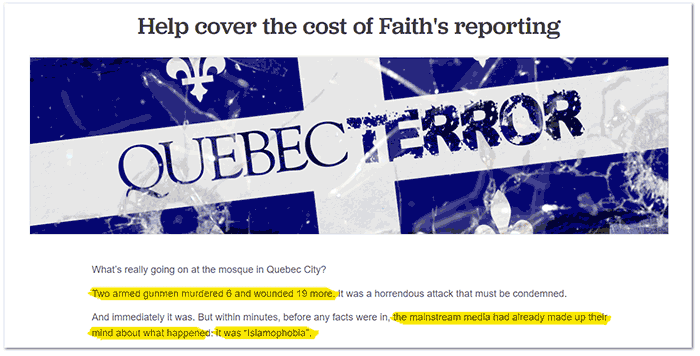 Yet even on Tuesday night – well over 24 hours later – a special fundraising website set-up by Rebel Media to collect donations still falsely claims there were “two armed gunmen” at the mosque. 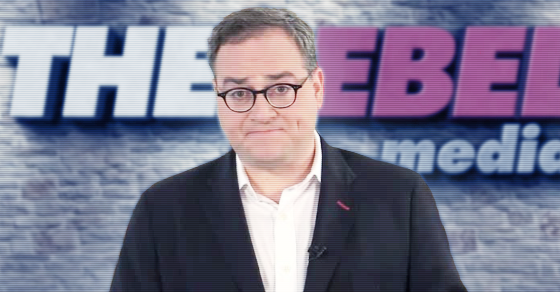 How long before @ezralevant launches a new url + begs for money to help send a reporter to Quebec to expose this as a false flag / hoax. If your news source said suspect in #QuebecCityMosqueShooting was refugee, its wrong.If they didn’t correct it, maybe you need a new source. The Rebel has bought the domain https://t.co/9eifPl2jXv in easy competition for the most disgusting response to a mass murder ever. Only Ezra could turn this into a money grab. Following the November 2015 Paris attacks that left 137 dead, Buzzfeed Canada found Rebel Media selling topical hats, t-shirts and coffee mugs for $25 a pop.